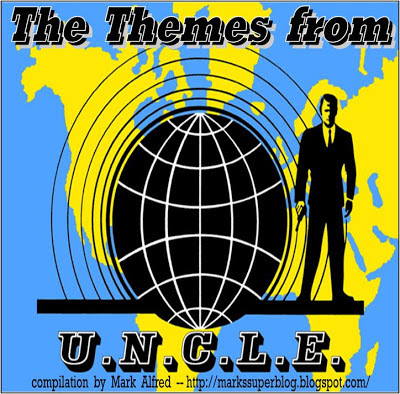 Welcome Back, with MA-01 - The Themes from U.N.C.L.E. Here's the first in a series of compilations of versions of Jery Goldsmith's classic theme to The Man from U.N.C.L.E., along with songs ABOUT the show, and songs reflecting its popularity an influence in pop culture from the 1960s to today. This first compilation tried to collect most (if not all) of the various on-air versions of the theme. As an example, there were at least two versions of the sax riff in the third-season's opening credits.